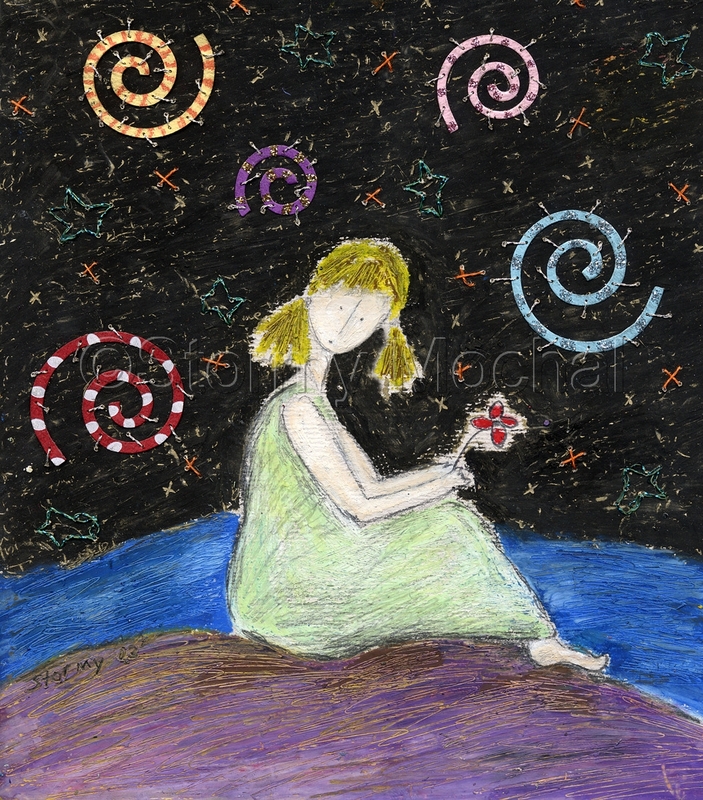 Reproduction of an original mixed media piece featuring a blond girl holding a flower under a dark swirly sky. Matted in white to 11 x 14". Limited to an edition of 60. Please contact the artist if you would like to know the edition number.